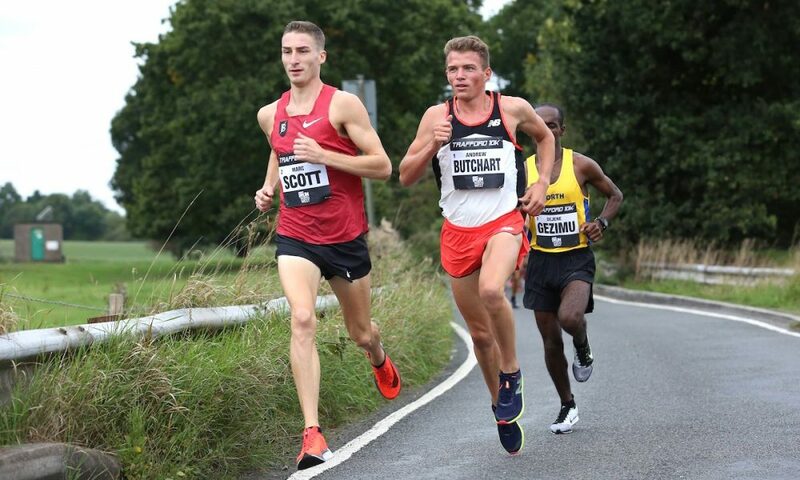 The duo clinch the England 10k titles as Andy Butchart returns from injury. 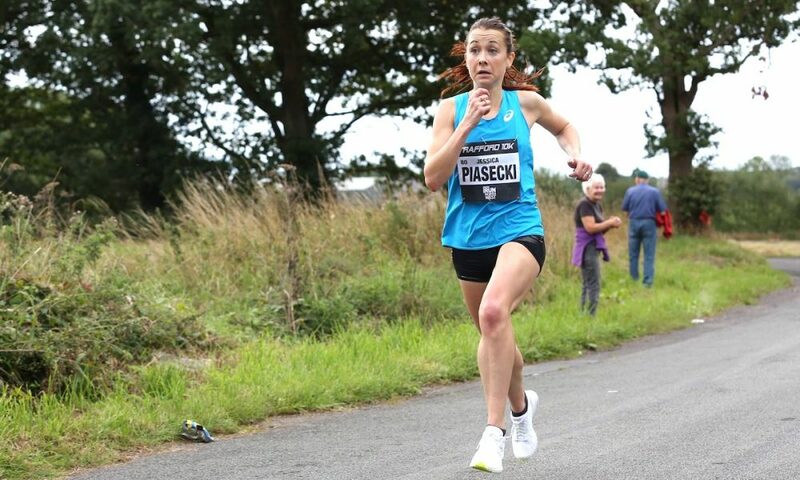 Marc Scott and Jessica Piasecki were the impressive winners of the Trafford 10k, which also incorporated the England 10k Championships, on Sunday (September 2). 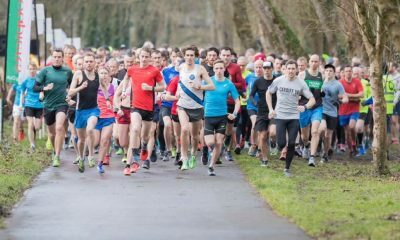 The fast and flat annual road race in South Manchester was rescheduled from it’s regular March date due to adverse weather, but it was worth the wait, as competitive distance runners turned out in their droves and superb performances were aplenty. In the men’s race, Scott, who recently ran the fastest 5k in the UK this year, was the emphatic winner with a sub 29-minute clocking of 28:57. Andy Butchart finished 31 seconds adrift (29:28) in his first race after six months out with an injury. 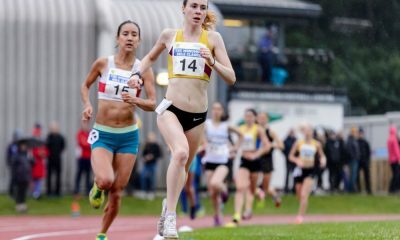 The winning time was a personal best on the roads for the Richmond & Zetland / Bowerman Track Club athlete and the third quickest time this year by a British athlete. After missing the Commonwealth Games and European Championships it was a welcome return for Butchart to the world of racing. Liverpool Harriers’ Dejene Gezimu’s completed the top three men in 29:35, while Cambridge & Coleridge Jack Gray crossed the line in fourth in a time of 30:10, followed closely by James Westlake of Crawley AC in 30:15. 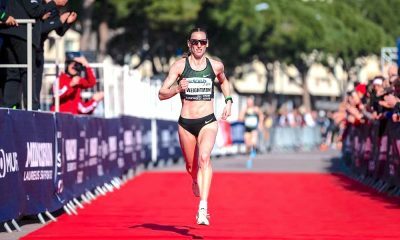 In the women’s race, Stockport Harriers’ Piasecki continued her recent winning ways and took the title in 32:52, just eight seconds outside her PB to record the fourth fastest time in the UK this year. 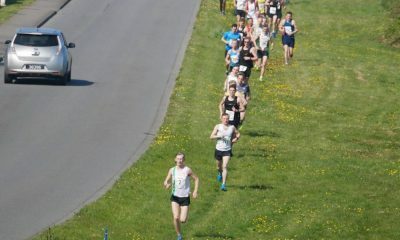 The former British half marathon champion finished over a minute ahead of Elsey Davis, who crossed the line in 33:57. City of Norwich’s Dan Nimmock, who will represent England later this year at the Commonwealth Half Marathon Championships, completed the top three in 34:16. Finishing fourth was Danielle Hodgkinson of Wallsend Harriers in 34:24, with clubmate Charlene Thomas completing the five women under 35 minutes in a time of 34:54. Meanwhile, in the England Championships club competition, women’s gold was won by Vale Royal AC, with Salford Harriers silver and Chorlton Runners bronze. Tipton Harriers won the men’s gold, with Liverpool Harriers clinching silver ahead of Sale Harriers.